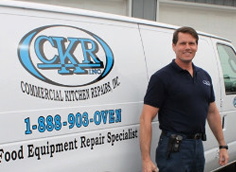 Commercial Kitchen, Restaurant & Food Equipment Repair: Commercial Kitchen Repairs, Inc.
CKR will try to exceed your expectations. We will make it right, this is our promise to you. 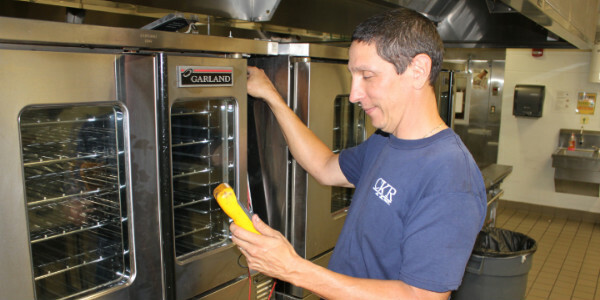 Fast and Reliable Food Equipment Repair & Service. Let CKR get your business up and running now! CKR will get the job done right the first time. Our technicians care about your business. 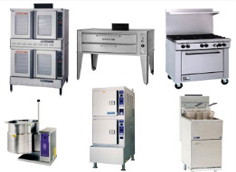 Fryers, Ovens, Steamers, Dish Machines, Kettles and so much more. Hot side equipment repair & service is what we do, & we are good at it! We want your business and will work hard to keep your repair costs low while still giving you top quality service! A service company is only as good as it’s technicians. Our service technicians understand how important it is to get you up & running. 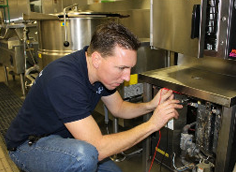 Commercial Kitchen Repairs, Inc. Is a Commercial Food Equipment Service Company specializing in the Installation, Preventive Maintenance and Service of hot side food preparation and warewashing equipment. Service on Gas, Steam, Electric and Electronic Food Equipment. CKR works on the most simple to the most complex kitchen equipment. Our technicians are factory trained and CFESA Certified. Our service technicians will provide courteous & knowledgeable service with a common goal of satisfying your specific problems and needs. You need it fixed now! We Understand. The Commercial Food Service environment is stressful enough with out the unexpected equipment breakdowns that can happen at the worst times. We will be there when you need us. Let CKR handle the problems you’re having with your equipment and get back to taking care of your own business. CKR, Inc. services Restaurants, Corporate Dining Facilities, Food Service Management Companies, Schools, Colleges, Universities, Hospitals, Nursing and Care Facilities, Country Clubs, Super Markets, Government Institutions, Prisons & so many more. Our rates are the lowest in the Food Service Industry. Let’s face it, these are tough economic times. We have to make every dollar count in business these days. CKR, Inc. does not charge you to return if we do not have the part you need during the first visit. Commercial Kitchen Repairs, Inc. Field Service Supervisor Robert Brown.